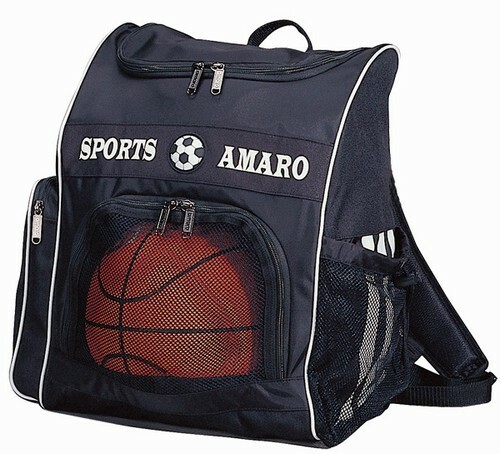 Sporty looking backpack with a wide U-shape opening on to is great for both school and sporting events. 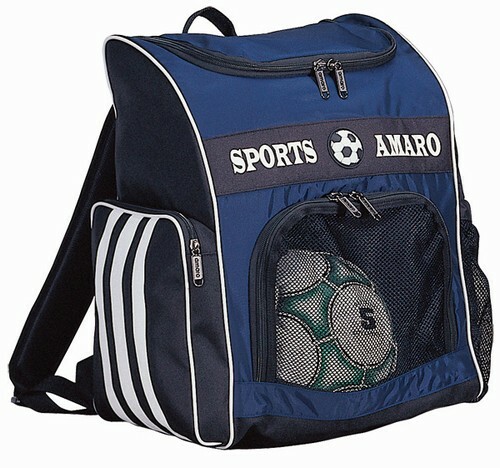 Large front mesh zipper pocket is specially designed to carry equipments such as balls, shoes, and gloves...etc. 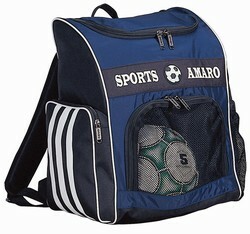 Large side mesh pocket and over sized zipper side pocket for additional storage space. Heavy padded back and shoulder straps.